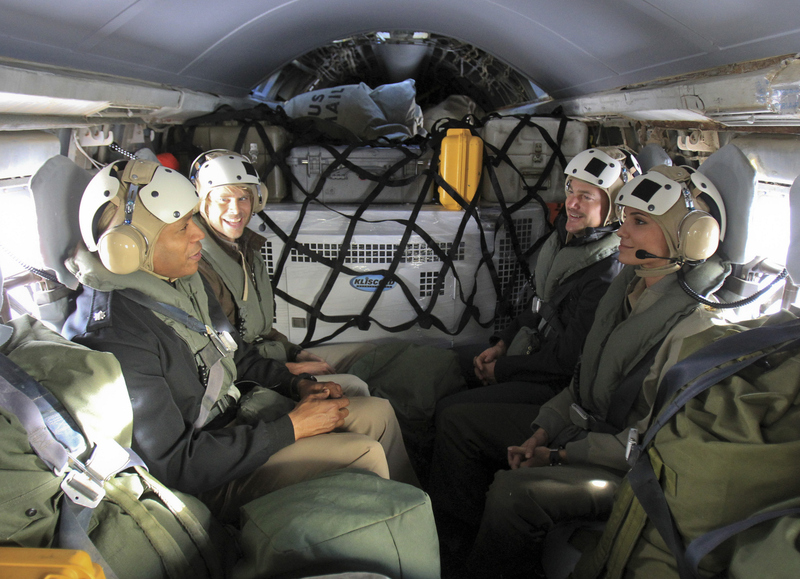 Pictured (L-R): LL COOL J (Special Agent Sam Hanna), Eric Christian Olsen (LAPD Liaison Marty Deeks), Chris O'Donnell (Special Agent G. Callen) and Daniela Ruah (Special Agent Kensi Blye). Callen, Sam, Kensi and Deeks spend Christmas aboard an aircraft carrier investigating the death of a fellow NCIS special agent. Meanwhile, Nell and Eric make the most of the holidays back at headquarters and Hetty takes a trip. Photo: Sonja Flemming/CBS ©2012 CBS Broadcasting, Inc. All Rights Reserved.